No more old playgrounds with only one slide, a sandbox without sand and a broken swing! Now you can choose from a whole catalogue with safe, reliable and versatile gymnastic sets. This is the best solution for those who want to take care of the proper and full development of their child. 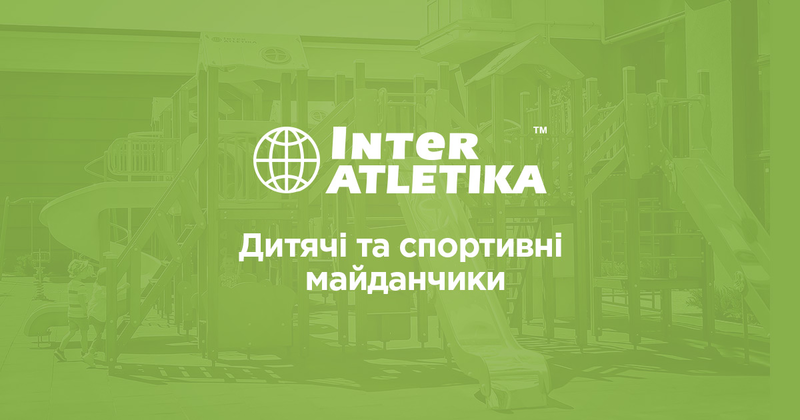 After all, such equipment not only brings children a good time in the company of their friends but also improves imagination, logical decisions and trains the body. Continuous outdoor physical activities - this is what doctors advice to children of any age. It is the key to strong immunity system, which can cope with any viral diseases at any time. Therefore, such purchase will be a contribution to the future and will help the child to become a successful adult. Physical activity outdoors is the guarantee of harmonious development. With a sufficient supply of oxygen into the blood, the right metabolic processes in the body are started. And this is the main secret of fast growth for all, regardless of gender and age. Gymnastics sets are another important tool that will help parents give their children the opportunity to work out all muscle groups, train endurance, coordination and strength. What is the most important, a combination of loads and rest forms a healthy immune system. That what such structure is beneficial for. But, not only the physical body of the child is developed. Due to the special details in the equipment, mental thinking, which is essential in life, is being developed as well. Moreover, since the point of this equipment is in playing with other children, it gives a kid useful skills of working in a team. It can immediately change his temperament: In particular, if he modestly stands and waits until the slide is free, then it makes sense to think over the training courage in your child. Or vice versa, true leaders need to be taught to share. How to choose a suitable piece of equipment? All products from our online store have been certified, therefore meet the quality and safety standards. Choose the equipment, considering free space you have and the preferences of the children. We guarantee the high quality of each of them, so all parts are safe for kids. They have a reliable fastening on wooden beams, therefore suitable for daily use. Since they are designed for outdoor games, they withstand all weather conditions and keep the initial look of the design for many years. Look through our catalogue and make a beneficial choice for your little ones, and they will grow as the brilliant adults!